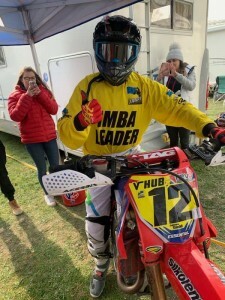 After a great start to their domestic race season, the JSR Racing boys headed to France at the weekend for the opening round of the IMBA Championships. Round One took place at the dusty Arleux track, just north of the town of Cambrai, around 90 minutes from the port of Calais. All four JSR riders were in action, putting Bridgestone’s Battlecross tyres through their paces in front of an eager multi-national crowd. In the opening moto, all three of their MX1 riders made it onto the podium with Ashley Thomas getting the better of James Dodd and Andy Smart for the win, with Brad Tranter not far behind in 6th. The second race of the day saw Ashley and James go head-to-head for the top spot once again, with James this time just managing to hold on for the victory. Race three was another podium lock-out for the JSR team, as Dodd took another win ahead of Ashley Thomas, with Brad Tranter securing a hard fought podium finish to take 3rd. After a great weekend of racing, James comes away with the #1 plate, and Ashley close behind in 2nd place. Andy and Brad sit in 4th and 5th place respectively. Unfortunately for Bridgestone’s reigning IMBA MX1 champion Josh Waterman, there was a nasty crash on the final lap of the opening race which put him in hospital with a slipped disc in his neck, and we of course wish him a speedy recovery. 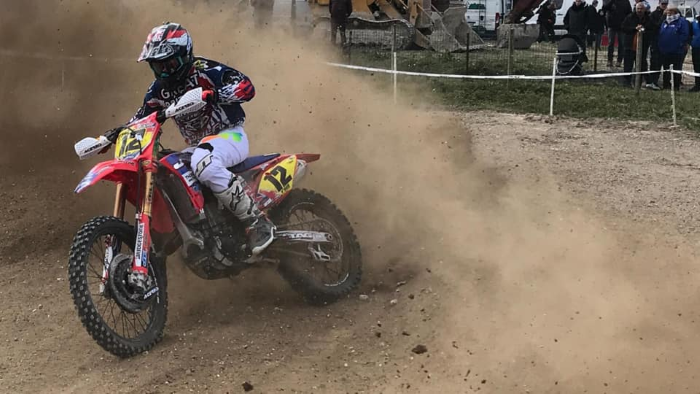 Back here in the UK, British Masters and MX Nationals MX2 champion Josh Gilbert also took 2nd overall in the British Championships for Honda Adventure Centre. The Bridgestone Battlecross range of motocross and enduro products in exclusively distributed in the UK by Cambrian Tyres. Dealers who’d like to find out more, and become a registered outlet on Bridgestone’s motocross website, are invited to contact us for further details. View the full Bridgestone MX range here.